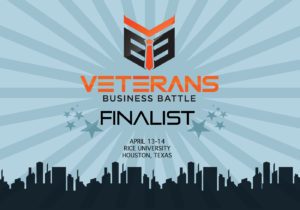 In a recent press release, The Veterans in Business Association (VIBA) at Rice University announced that ThinkGenetic has been accepted as a finalist into the 2018 Veterans Business Battle out of 70 applicants. Each year, the two-day event gives military veterans an opportunity to pitch business ideas to investors and lenders for a chance to raise capital. During the competition, finalists attend workshops geared toward businesses in early stages of development, have the opportunity to perfect their pitch and receive feedback from professionals, network with potential investors and learn from other entrepreneurial success stories. With more than $2.3 million of investment offers extended thus far, it’s the largest veteran business competition in the country. In addition, winning entries will receive mentoring and strategic advisers from a diverse and valuable pool of leaders in the entrepreneurship community. ThinkGenetic will descend upon Houston, Texas for VIBA’s Veterans Business Battle at Rice University on April 13-14, 2018 to compete in a series of finalist presentations. We encourage you to keep an eye on the developments of the Veterans Business Battle program by signing up for email updates. To subscribe please click here.